A continuously variable transmission or CVT is a type of automatic transmission that automatically and seamlessly changes the speed ratio between the engine and the wheels of an automobile vehicle. CVT has also been described as an automatic, single speed, and gearless transmission. Simpler CVTs have been used in different motorized equipment such as power tools and small vehicles such as motor scooters and golf carts. Nonetheless, advances in engineering and technology have made CVT a practical alternative to traditional automatic transmission in larger automobile vehicles. To understand the advantages and disadvantages of continuously variable transmission, it is first important to understand how this type of automatic transmission works. Unlike a traditional automatic transmission or a manual transmission, a CVT does not have physical planetary gears or interlocking toothed wheels. Instead, the most common type of CVT operates on a belt-and-pulley system that allows seamless variability between the highest or lowest gears or speed ratio. Take note that although a CVT does not have physical gears, the term “gear” has been commonly used to refer to the ratio of engine shaft speed to driveshaft speed. Within a CVT is a rubber or metal-link belt that connects two pulleys—an input or “driving” pulley and an output or “driven” pulley. This belt also allows the transmission of mechanical energy between the two pulleys. The driving pulley is essentially where the energy from the engine enters the transmission while the driven pulley transfers the energy to the driveshaft. Both the driving and driven pulleys are made of two movable plates that can be moved closer or farther apart, thus increasing or decreasing the radius of each pulley. When one pulley increases its radius, the other decreases the radius to keep the connecting belt tight. The relative changes between the radii of these two pulleys create an infinite number of gear ratios. A driving pulley with a small radius and a driven pulley with a larger radius correspond to a lower gear. On the other hand, when the radius is large on a driving pulley and small on a driven pulley, the result is a higher gear. These interactions between the two pulleys allow an almost infinite number of gear ratios. Other versions of CVT are not made of belts and pulleys. For example, toroidal CVTs are made of discs and power rollers. These components are analogous to a belt-and-pulley system nonetheless. One advantage of CVT is that it is lighter and simpler as compared to traditional automatic transmission and manual transmission. Remember that there are no physical gears or a set of planetary gears inside a typical CVT box. The design and components are considerably simpler. Nonetheless, this compact design makes CVT an ideal transmission choice for compact vehicles. Both traditional automatic transmission and manual transmission use different physical gears to go through different gear ratios in a step-by-step fashion. Shifting between the ratios can create shift shocks or sudden jerks. On the other hand, CVT varies gear ratio continuously and seamlessly rather than in a stepped manner. This allows for a smoother operation and quicker drive. Another advantage of CVT is that it allows the engine to rev almost immediately, thus delivering maximum torque. Remember that torque is a measure of how much force is required to cause an object to rotate. A CVT also eliminates gear hunting as the vehicle decelerates, such as when it is going up a hill. In addition, a traditional automatic transmission normally struggles while the vehicle is under heavy load. Under the exact scenario, a CVT can almost immediately find the exact gear ratio, thus providing seamless power. The ratio between engine shaft speed and driveshaft speed is constantly changing in a CVT. In addition, aside from mechanical components, a CVT also has sensors to keep an engine within its optimum power range regardless of how fast or slow the vehicle is moving. This means that a CVT is more fuel efficient than a traditional automatic transmission or manual transmission, especially during a stop-start traffic situation or when the vehicle is constantly changing speed. Sensors built inside a CVT allow better fuel efficiency, especially by balancing fuel economy and power requirement. The engine essentially runs at the optimum speed regardless of the wheel speed. In other words, by continuously altering and balancing the gear ratio, or the ratio of engine shaft speed to driveshaft speed, a CVT ensures that the most appropriate amount of energy from fuel combustion is used. A vehicle equipped with a CVT can provide a very different driving experience. This is one of the disadvantages of CVT. A driver accustomed to using a traditional automatic transmission or manual transmission will not feel the engine in a CVT vehicle accelerating. Specifically, the noises coming from a CVT vehicle can be a cause for concern. Changes in engine speed typical produce a steady or unvarying sound that is comparable to a slipping clutch or failing transmission. While this sound is normal in a CVT, it is usually an indicator of an underlying mechanical problem in a traditional automatic transmission. Some drivers might also think that a CVT vehicle is slower although it is not. This is because that in a traditional automatic transmission, there is a sudden power burst when pushing the accelerator all the way up. The driver can feel this. In a CVT on the other hand, the power increase when pushing the accelerator is smooth and rapid. Another disadvantage of CVT is cost. Vehicles equipped with this type of transmission are usually more expensive than their traditional automatic transmission counterparts. This is due to the cost of the specific components and the different process involved in manufacturing a CVT vehicle. Patent royalties also drive up manufacturing costs. Maintenance and repair costs can also be expensive. A CVT replacement can cost between USD 3,000 to USD 5,000. It is also worth noting that a CVT does not last nearly as long as a traditional automatic transmission. Furthermore, whenever a CVT fails, it is usually bound for replacement. This is because individual components can be very expensive or the specific faulty component can be difficult or impossible to locate. 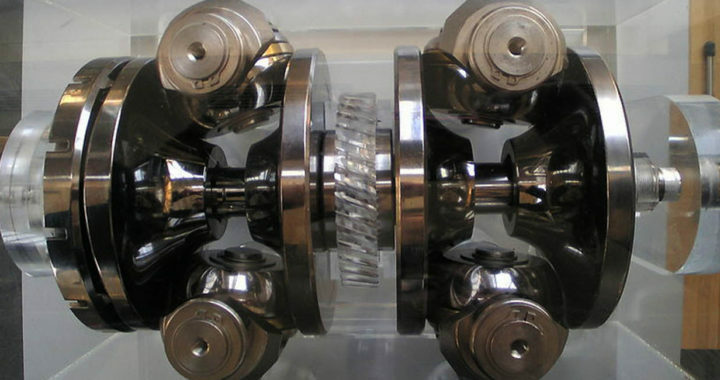 The advantages of continuously variable transmission or CVT are mainly attributed to the fact that it does not have physical gears unlike a traditional automatic transmission or a manual transmission. In a nutshell, the advantages of CVT are fuel efficiency coupled with mechanical efficiency as it continuously operates using the most ideal gear ratio under different driving and road scenarios. All of these advantages translate to comfort and ease of use to drivers of automobiles. The aforementioned disadvantages of continuously variable transmission are considerably minimal compared to its advantages. However, owners and drivers should take note of the maintenance and repair costs associated with a CVT vehicle, specifically by observing extra care. A CVT provides a relative different driving and user experience than traditional automatic and manual transmissions.